Halloween is just around the corner! Planning to become a stinky zombie, a bloody vampire or a creepy witch? Hmm, why don't you try something cooler than that such as dressing up like superheroes in some blockbuster movies. And in case you're intrigued by the dark power, becoming a villain is not a bad idea at all! Maximize your fun while using any Instant Messaging applications with Online Voice Changer. Such program will give you the ability to make adjustments to your timbre and pitch - two most important parameters of a human's voice. "I saw you in the bank robbery this morning, I have some questions to ask you now!" "Oh, I'm sorry! I'm stuck in huge traffic!" 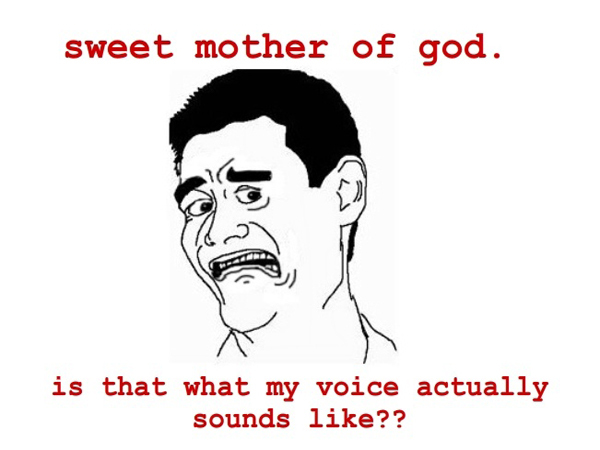 And more silly and funny ideas for funny calls that you can do with Online Voice Changer. ¬ How does Voice Changer work in real-time? 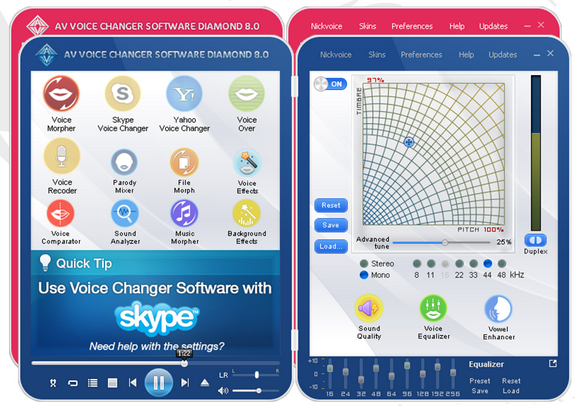 Voice Changer Software Diamond works on Virtual Audio Driver method which give the program the ability to change your timbre and pitch while you are using Instant Messaging applications to make internet calls. A big plus of this program is its ready-to-use nickvoices (aka preset output voices) and background effects for more precise and realistic voice. These presets are a big help for newbie who're still confused about this tool and also a time saving solution for professional users as well. DON'T WASTE YOUR TIME ANY LONGER!!! 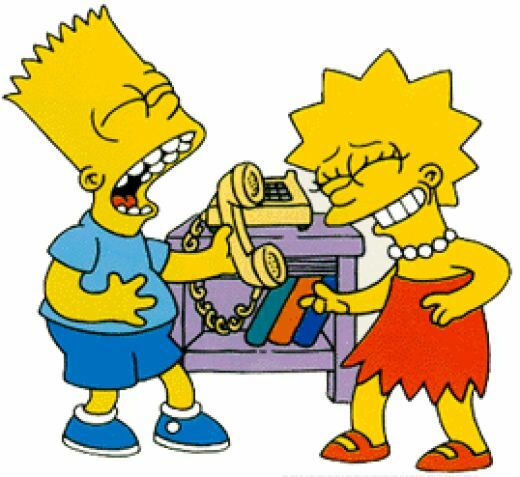 Grab one now and join the funniest calling world with your friends! The best Voice Changer for your funny calls! Unleash your creation and create more value to your entertainment by disguising your true voice, making it sound like anyone else. Especially, being an abnormal person may freak your friends out! - Create e-greeting cards with differently emotional voices and express your family and friends. - Revenge your opponent by sending them scary audio messages or internet calls. - Make a successful presentation with coolest voice and add more value to your business. Voice Changer Software works on Virtual Audio Driver (VAD) mode which gives you the ability to capture any streaming audio and change your voice in real time. By moving cursor on 2-dimension graph, you can make your timbre and pitch lower or higher up to your requirement and it may sound lovely, scary, creepy, ect. There is a huge "nickvoices" store, aka ready-to-use output voices available for lazy user...like me! Once clicking on the target characters, you will immediately sound exactly like them, this is really useful and helps you save a lot of time to achieve desire output. One thing for sure that voice changer is compatible with most environment, from VoIP and Instant Messaging Applications to online games. You can have fun chatting and calling like undercover agent, scary ghost, silly girl, bad teacher and even imitate your favorite actors' voices. One of its remarks is the possibility to have many windows opened at the same time so that users will find it much easier to use this Voice Changing Tool. You can connect it to many other programs, and here we are: If you want a funny call in Skype, check out How to use voice changer for Skype now. Make Your Voice Sounds Like Your Idol? How amazing. Have you ever wanted to play a gag on someone by pretending to be someone famous but couldn't get the voice right? AV Voice Changer Software Diamond includes packages of parody voices that help users talk in the voices of some Hollywood stars and other famous people. The main attraction in AV Voice Changer Software is the "Parody Maker" feature. Once you record or provide a sample of your voice, you may activate the software to automatically start transforming your voice. It is used by clicking and dragging a dot, over a grid. Before using this tool, you will have to make a few preparations, on a separate window. You have to select a recording of your voice, a target voice and one or more parody voices, such as celebrities, singers or others. If you don't have one ready, you can start recording yourself right away. You can select up to four parody voices, on the parody mixer's grid and move the dot towards anyone to change your voice. After that, the "Voice comparator" supports to analyzes the characteristics of your voice and compares them with your idol. It let you know the similarities between the voices, by displaying various percentages for tone, timbre and intonation. Additionally, it can suggest the ideal settings to imitate the target voice. You can find many other tools, on separate tabs, on the lower part of the interface. 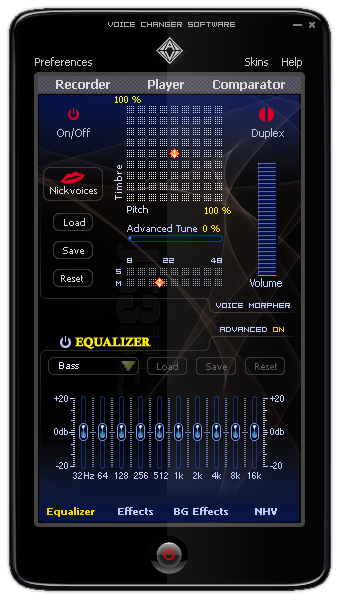 They include an equalizer, effects, frequency morpher and more. 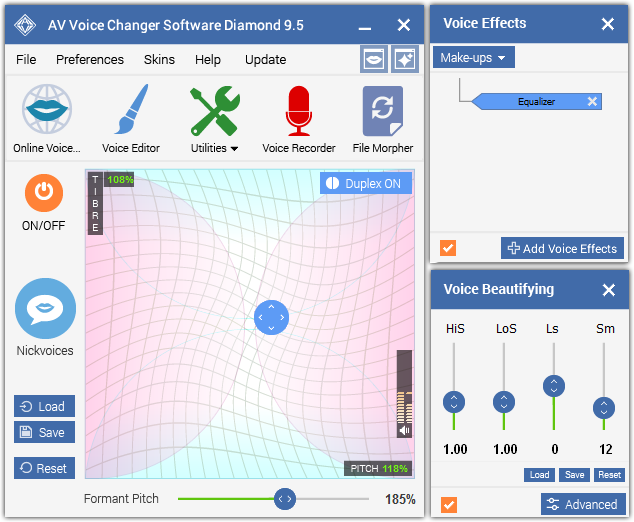 Pros: AV Voice Changer Software Diamond makes it possible to analyze and compare your voice with others and it suggests the best settings to imitate that voice. AV Voice Changer Software Diamond can change your voice in real time to make it sound like an old woman, a teenage boy, a girl, and much more. The software also allows you to record conversations online through your computer and adjust the voices by yourself. AV Voice Changer Software Diamond can be used with all online games including Second Life, World of Warcraft, EVE Online, Lord of the Rings Online, Everquest, Counter-Strike, Battlefield 2 and many more. It integrates with VoIP and Instant Messaging programs such as Skype, Ventrilo, TeamSpeak, Yahoo Messenger, MSN Live Messenger, AIM, XFire, GoogleTalk, Roger Wilco, Net2Phone and more. The software also can alter and create different voices to make voice-over and voice dubbing for audio/video clips, presentations, narrations, voice messages, voice mails, and more. It’s quite complicated for new user so you have known voice changing features of VCSD. Change your voice with audio effects, background effects and voice add-on. Sound like you are giving orders over a radio, talking underwater, hiding out in a cave, ghost or just confuse your friends with some alien gibberish. Change the way you sound with female Voices. This add-on for AV Voice Changer Software Diamond includes many high-quality female voices. Sound like a young woman, a baby, a prudent/pleasant girl, a wise grandmother, a school mistress and more. This software and the Voice Pack will tweak your voice for better game play, richer voice overs or just some gender bending fun. AV Voice Changer Software also provides more than 50 animal sounds to entertain and amuse your friends over voice chat. The add-on can transform you into an animal. And you can sound like Bee, Boa, Elephant, Fish, Frog, Horse, Mosquito, Mouse, Snake, Tiger and more. The morphing settings for your voice will be applied automatically. 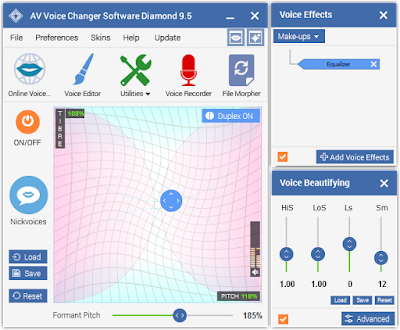 If you want to alter and create different voices to make voice-over and voice dubbing for audio/video clips, presentations, narrations, voice messages, voice mails, and more, I think AV Voice Changer Software Diamond can help you to do it. Using this Voice Changer Software, you can change your voice in real time to make it sound like an old woman, a teenage boy, a girl, and much more. The app also allows you to record sources online and through your computer and adjust the voices yourself. AV Voice Changer Software Diamond is compatible with many VoIP and instant messaging services such as Skype, Teamspeak, Windows Live Messenger and Yahoo! Messenger. It can also be used when playing online games such as World of Warcraft and Second Life. Can you imagine that you have the voice of someone you know, your friends, your teacher, your parents, or even Obama, Justin Bieber, Darth Vader and any celebrity out there? 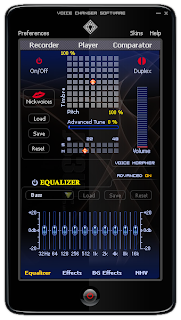 This Diamond Edition of voice changer software has a faster voice morphing algorithm, and numerous options. It also includes packages of parody voices that help users talk in the voices of some Hollywood stars and other famous people. 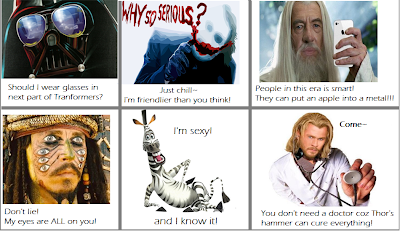 The Parody Maker, which is supposed to morph your voice into that of a celebrity doesn't give you very good results, although they are quite amusing. AV Voice Changer Software is fun although it's not really useful for anything that playing practical jokes or morphing someones voice to protect their identity.